Handheld calculator offers a large, punctuated, eight-digit liquid crystal display (LCD) and nonslip rubber keys. Functions include basic four functions, three-key memory, percent and square root keys. Calculator runs on solar and battery power. 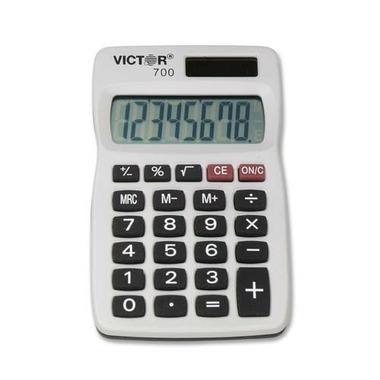 SMALL AND EASY-TO-USE POCKET CALCULATOR!